Adam Lallana is still a decent option for us, but the midfielder is the wrong side of 30 and very injury prone. At his best, he’s creative, works incredibly hard and has the kind of fast feet that gets the team out of tricky situations and onto the counter, but we haven’t seen that level for quite some time. Following his excellent start to this season, many Liverpool fans reckon James Maddison would have been a mighty smart addition as both a short and long-term replacement. The 21-year-old has been Leicester’s best player and shone on Monday night against Arsenal, despite the fact his team went down 3-1. Maddison is wonderfully creative and has a brilliant eye for a telling forward pass. He also possesses the kind of close-control that is rare among English midfielders of this generation. On Twitter, many are suggesting we had a stinker by not signing Maddison this summer just gone, when Leicester secured him for just £20m, according to BBC Sport. He’s already worth plenty more than that, especially considering his age. Maddison would have been a fantastic addition, as would his team-mate Ben Chilwell have been, but we now may have to go in for the duo for potentially extortionate fees further down the line. The bigger clubs missed the boat with Maddison, particularly Liverpool after Coutinho left. He’s going to continue the break ankles and be worth double what Leicester paid come the end of the season. 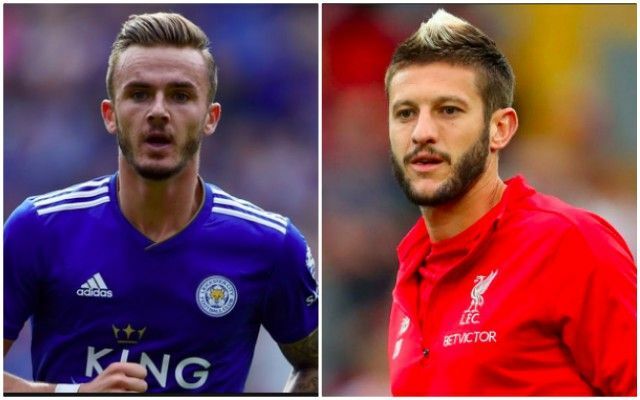 If only those James Maddison to Liverpool rumors weren’t fake last season. The kid is such a brilliant player. Liverpool may have missed a trick not buying Maddison. Really impressed with his awareness, technical ability and swagger. He would have been just what we needed. Are you worried about Arsenal yet? I’d love James Maddison at Liverpool.